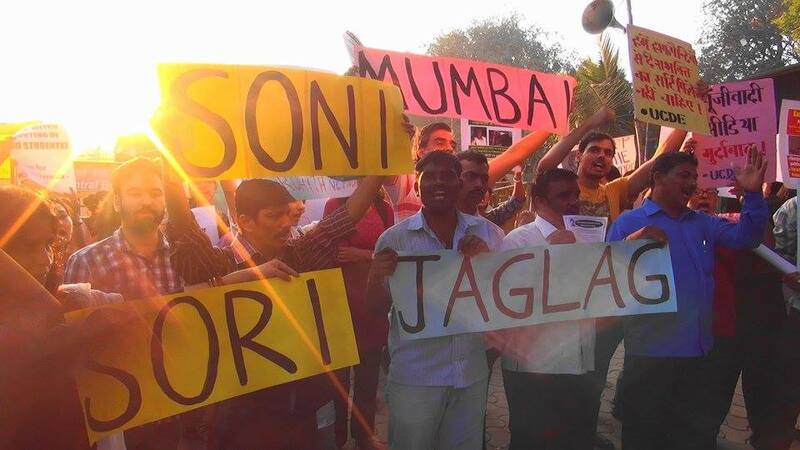 Soni is improving. The swelling has reduced and she is able to speak without too much discomfort. *22nd Feb 2016*: The patient came to the hospital yesterday at night with chemical burns on her face and was immediately admitted in the ICU. A team of senior consultant specialists has been assigned to care for all her clinical needs. We are hopeful that she will recover within the next few weeks and are carefully monitoring the situation on an hourly basis. She has been evaluated by the ophthalmologist and her eye on bed side examination appears to be normal, though she has orbital and conjunctival oedema. Her condition is stable at the moment with no threat to her life. country, and the repression that has followed. 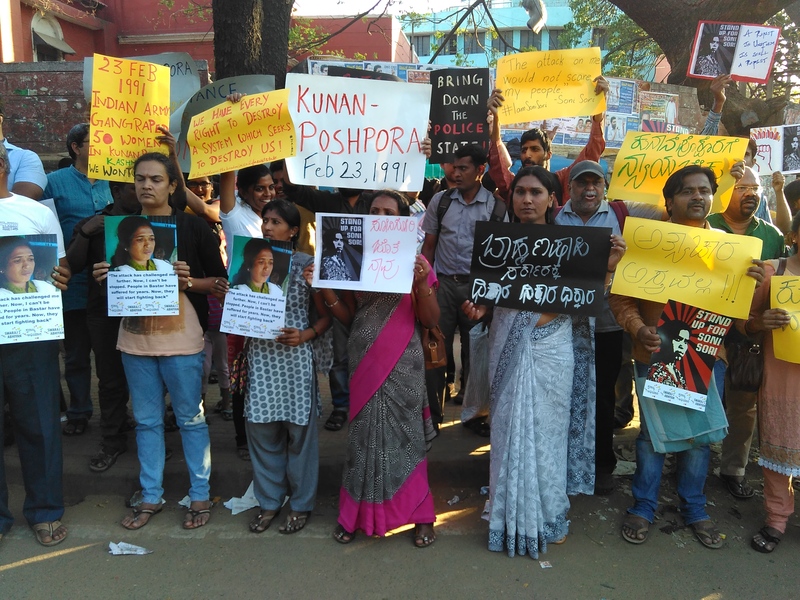 The demonstration expressed solidarity with the rally held in New Delhi as part of the nationwide protest against the killing of Rohit Vemula and other state supported attacks on progressive voices.